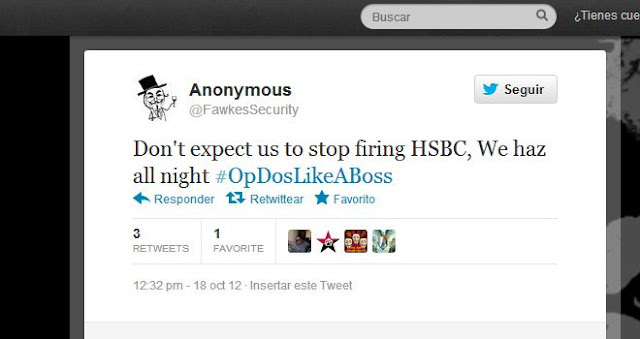 One of Anonymous hacker groups "FawkesSecurity" who claim responsibility for a DDOS cyber attack on HSBC Bank says that they also manage to get 20,000 debit card details. On asking, is there any proof of this claim , they replied ,“ We're debating whether to release them or not, HSBC knows debit details were intercepted, They probz won't admit it tho,”. On the other hand, A group that calls itself Izz ad-Din Al Qassam , which has claimed responsibility for recent cyberattacks on at least nine other banks, also took responsibility for the assault on HSBC. Who ever the real hitman behind this, but according to hacker's warnings - RBS, Lloyds TSB and Barclays Banks are next targets. In a YouTube video the group said it was holding back on its reason for the attack.